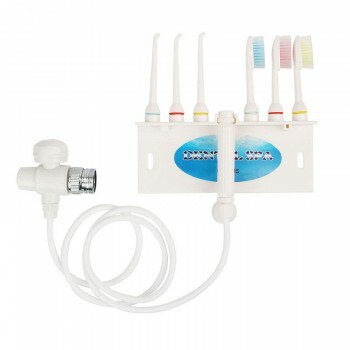 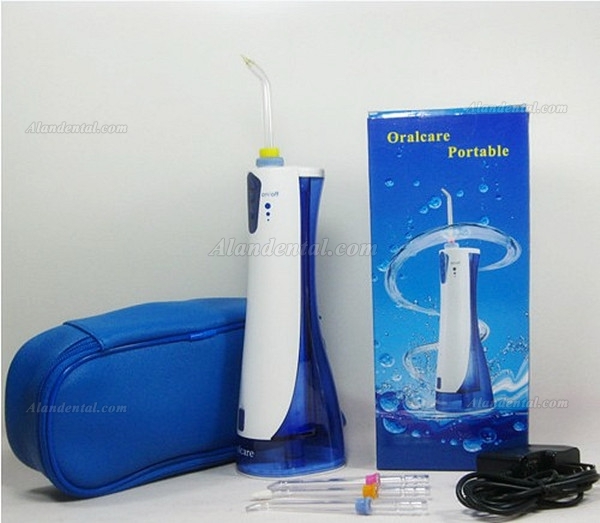 Buy Cheap Oralcare® OC-800 Portable Oral Irrigator Water Flosser form Alandental.com|Dental Equipment for Sale! 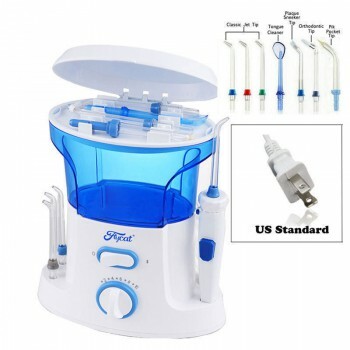 Sometimes called jet oral or dental water, it is very effective both in preventing caries in preventing gingivitis promoting excellent Mouth hygiene. OC-800 eliminates debris, bacteria and other dental plaque may become lodged and develop between the teeth with a powerful jet adjustable and it helps tone the gums with the dental jet massage effect. 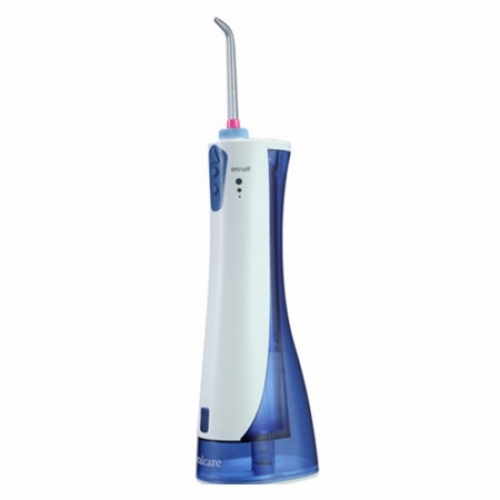 Rechargeable battery, convenient to use with the cordless design. 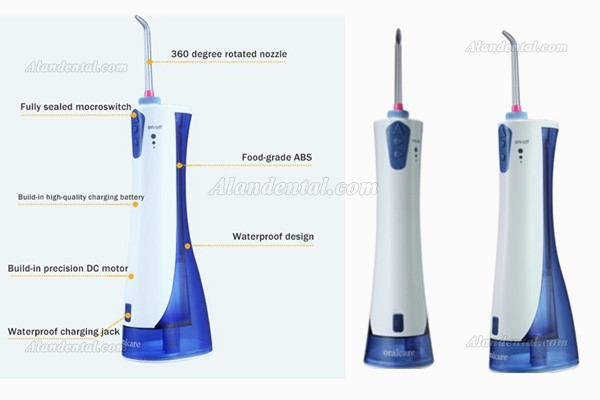 Charging 90 minutes and use for 6 hours.